SDR Plus We've made the first a few shades better. SDR Plus is the improved next generation of the leading and still unmatched flowable bulk-fill material SDR. In 2009, SDR was the first technology that allowed 4mm bulk placement in flowable consistency. More than 50 million applications and several long-term clinical studies later, it is the bulk fill technology of choice for faster and easier creation of reliable direct restorations. 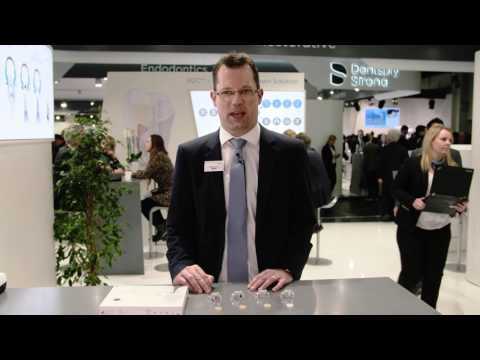 SDR technology answers the two challenges of direct restorations: adaptation and efficiency. During light-cured polymerization, resin monomers are in chaotic movement as they begin to form the polymer matrix. SDR technology enables the formation of a more relaxed network, minimizing the build-up of stress. This reduces the risk of gap formation during polymerization. SDR’s unique chemistry helps ensure the longevity and overall quality of a bulk fill restoration. SDR flowable bulk fill technology fills and easily adapts to the cavity, flowing into nooks and crannies to provide excellent cavity adaptation during placement. Direct restorations represent approximately a third of the annual revenue of a general practice. Increasing the efficiency of the Class II treatment directly impacts day-to-day dental office revenue.5,6 SDR bulk fill technology allows the material to be applied in 4mm increments without an additional liner. This automatically decreases procedural time and inventory. The upgraded formulation of SDR Plus material adds even more versatility, by introducing new shades and expanding the range of indications. In addition to one universal shade, three new A-shades of SDR Plus - A1, A2, and A3 - increase versatility even further in a wide range of cases including visible Class II restorations, primary posterior dentition, Class III and Class V restorations. Additional oportunities to use SDR Plus material. Due to its unique chemistry and improved wear resistance, SDR Plus material is now approved to be used in Class III and Class V restorations where a capping agent wouldn’t be used. This expands its capabilities to be used in more restoration classes than many other flowable material.